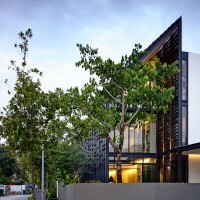 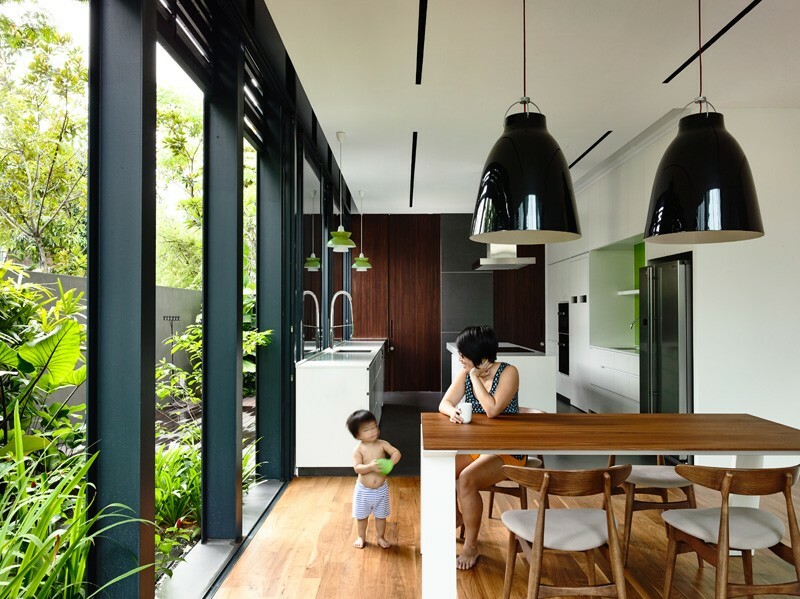 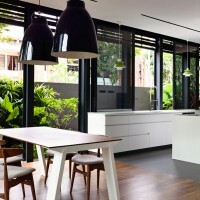 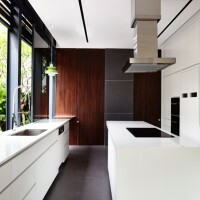 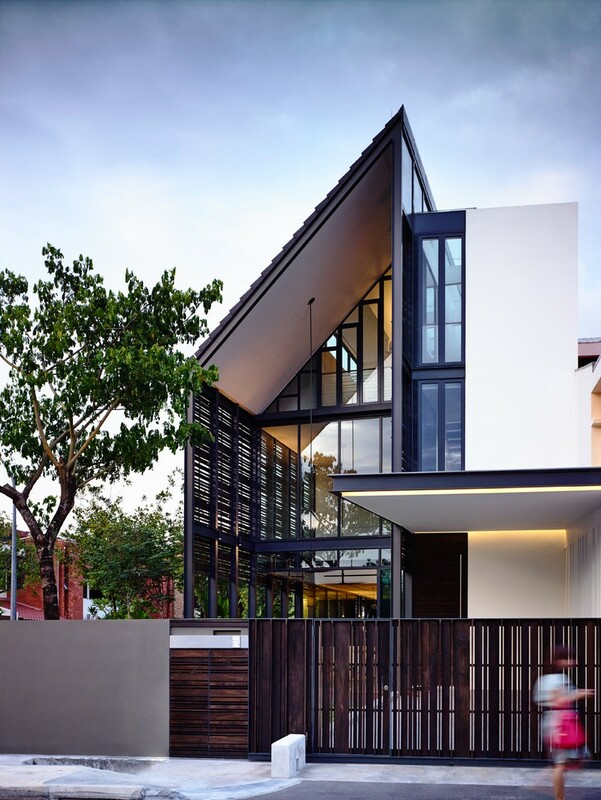 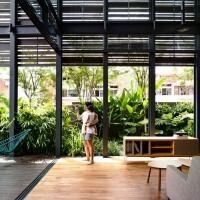 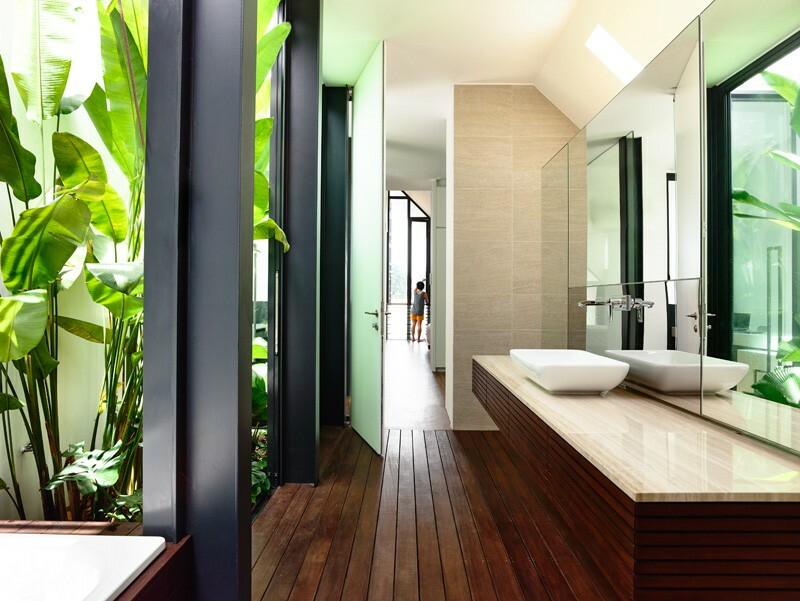 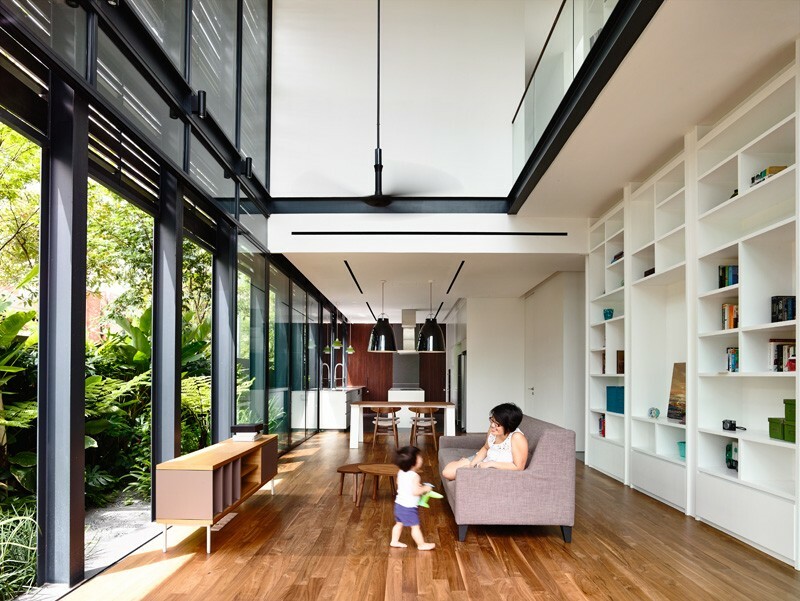 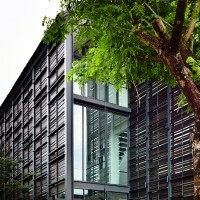 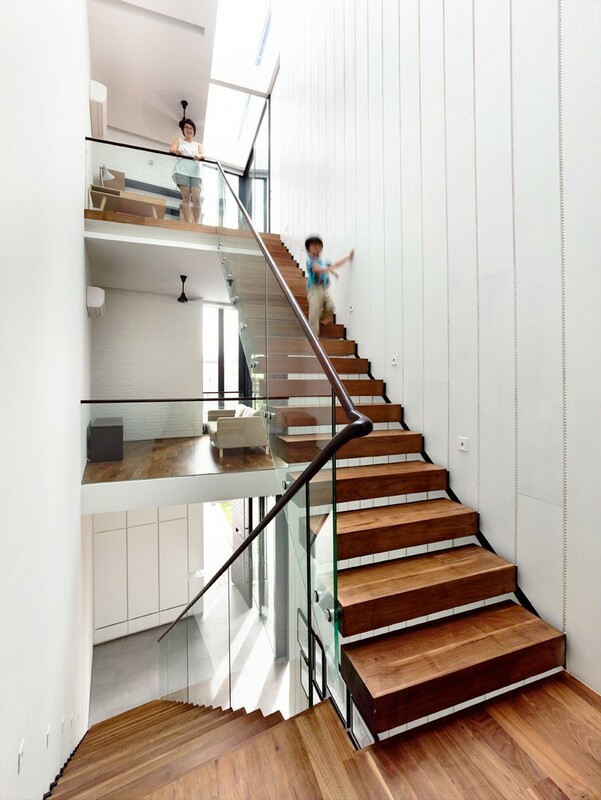 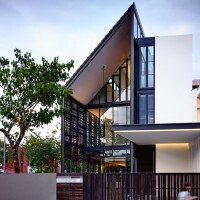 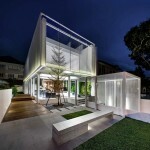 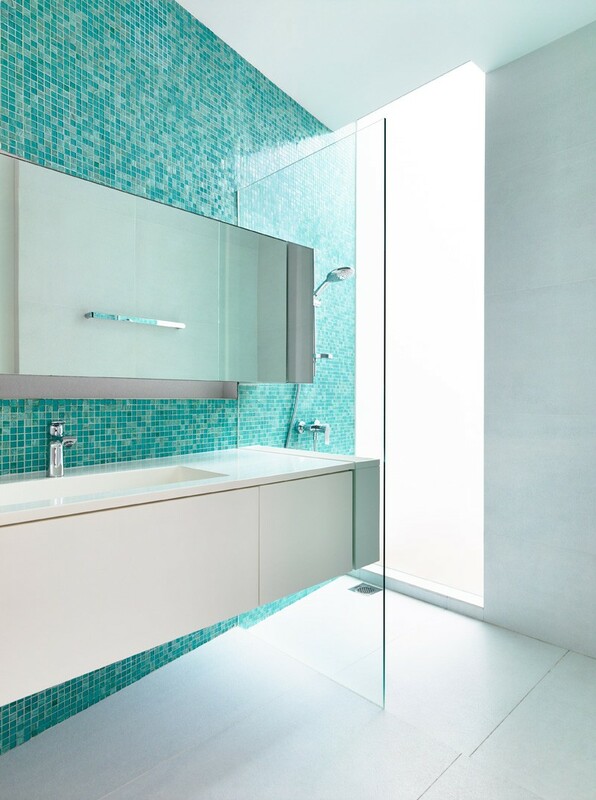 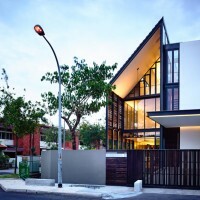 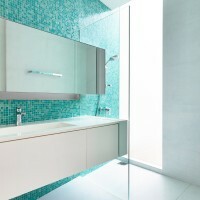 HYLA Architects have designed ‘Lines of Light’, a 2 storey corner terrace house with an attic in Singapore. 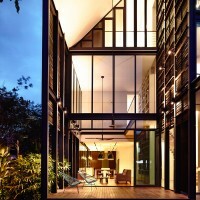 This terrace sits at a corner site and thus the full side of the house fronts the side street. 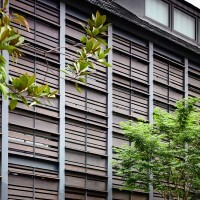 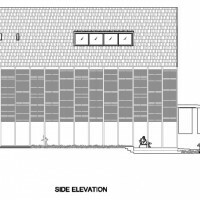 To preserve the privacy but still allowing light and ventilation, a slatted timber screen covers the entire side elevation. 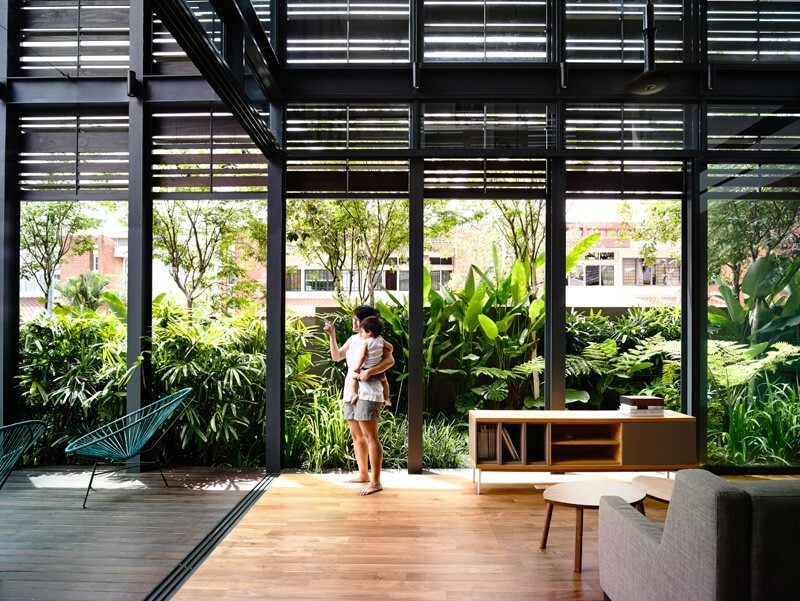 At the front, an outdoor terrace with a high volume fronts the main garden. 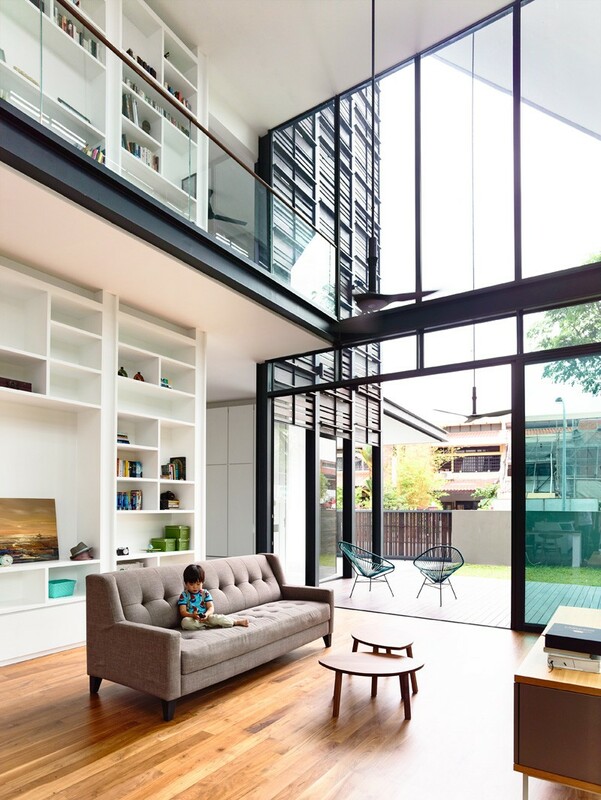 The space continues into the double volume living room with a feature book shelf that extends two stories. 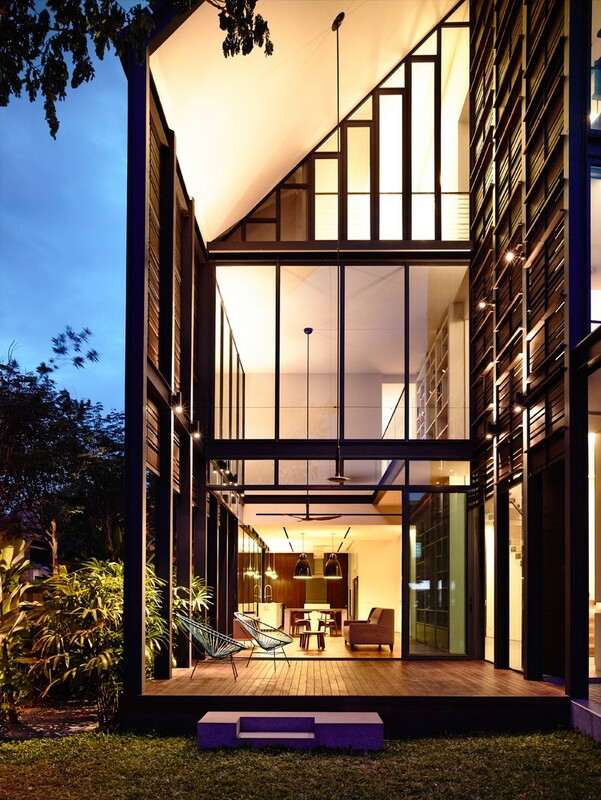 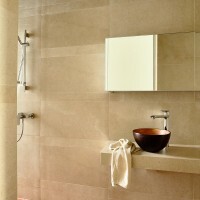 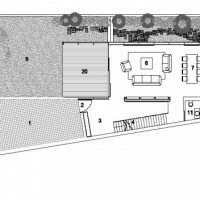 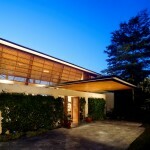 The 1st storey has an open plan and large glass sliding doors open up to the lush side garden. 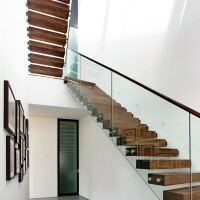 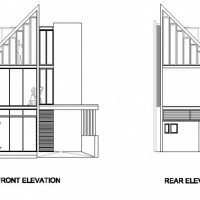 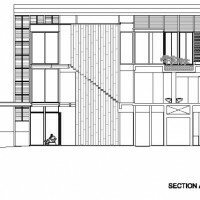 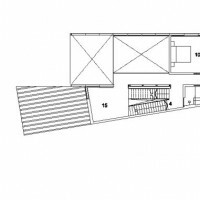 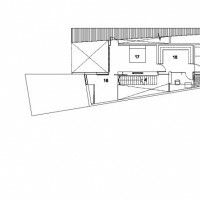 One enters the house into the triple volume space with the cantilevered stairs on both sides of the walls.